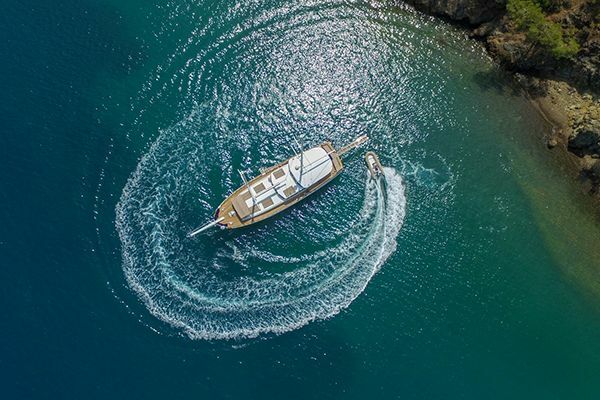 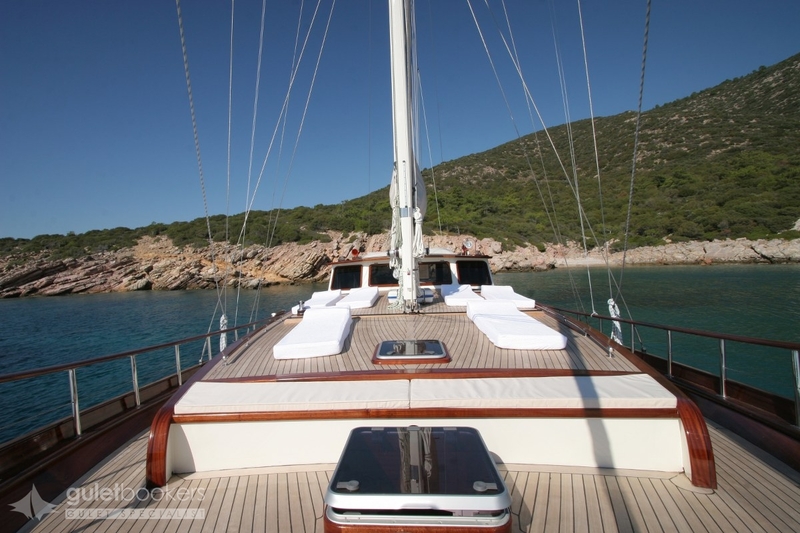 Bodrum master craftsmen have custom built this superb traditional wooden yacht, the luxury HAYAL 62 trandil to offer her guests a luxurious and private sailing getaway along the Turkish Mediterranean and Aegean coastline. 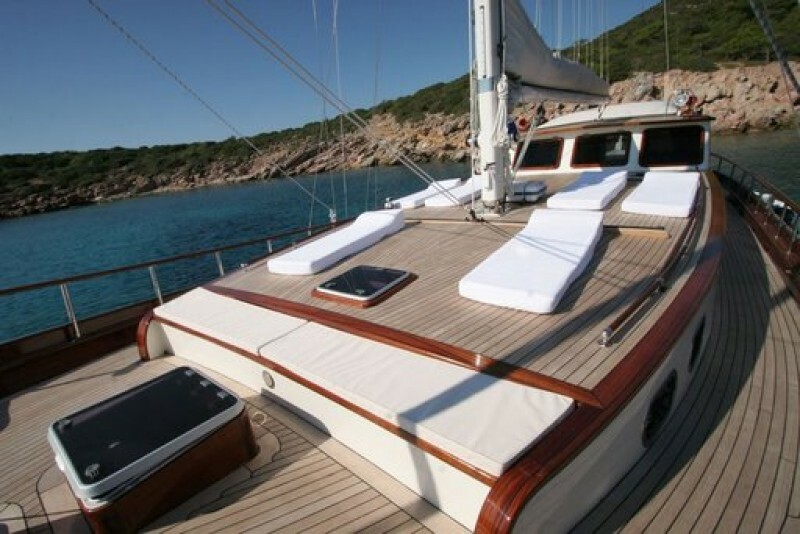 The craftsmanship and materials lavished on the building of this privately owned sailing yacht is evident everywhere onboard. 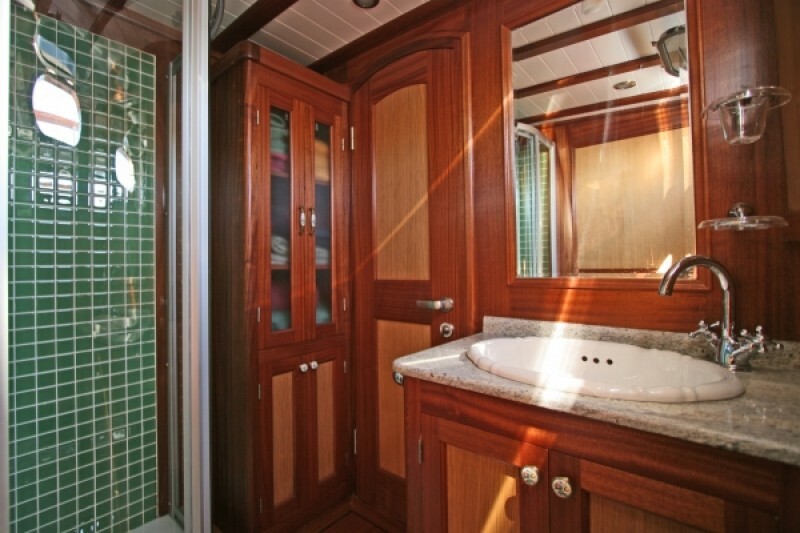 Fine worked mahogany lines the two cabins; the spacious, elegant master double cabin and the smaller twin bed cabin, and in each of the well-appointed en suite bathrooms. 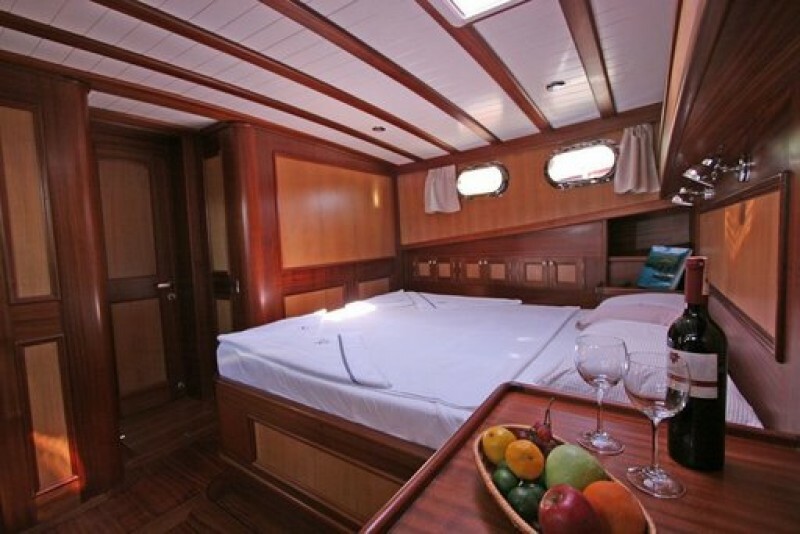 The outstanding feature of the tirhandil gulet yacht HAYAL 62 is her very spacious well-lit master cabin located in the forward section complete with private bathroom, robe space, side couch, personal safe and air-conditioning, making her one of the most ideal yachts available in this region for honeymooners who are looking for an immaculate yacht with five-star service at an affordable budget. 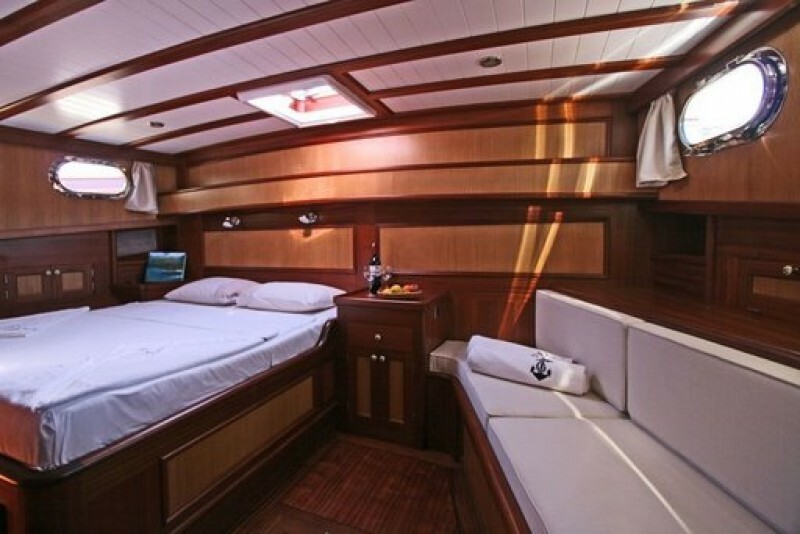 The en-suite twin cabin on the port side also makes this sailing yacht a great option for a small family of three or four. 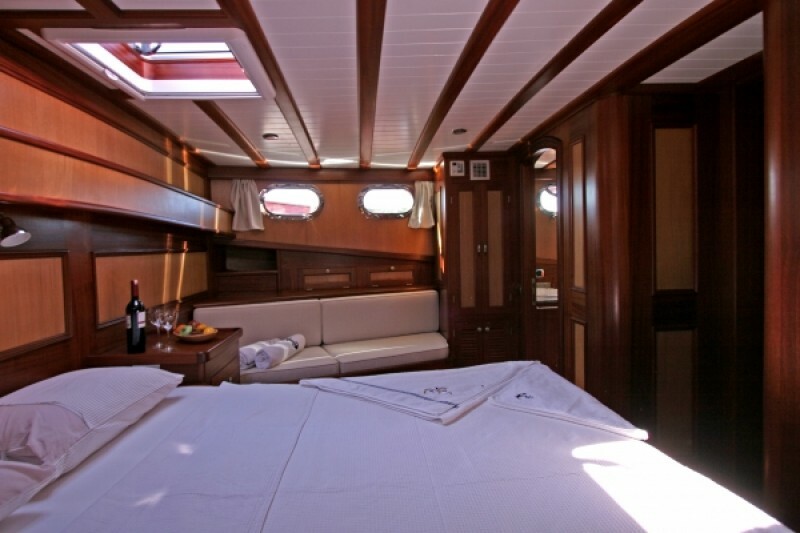 The indoor saloon has space for a dining nook with settee seating, and entertainment with TV (Local)/DVD, stereo system, i-pod dock, board games and internet available. 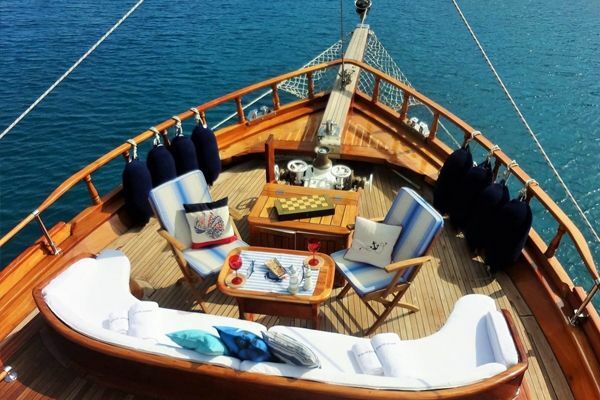 On the aft deck of tirhandil Hayal 62 guests can enjoy outdoor dining at the table, with excellent meals provided very efficiently by the crew of three from the well-equipped galley. 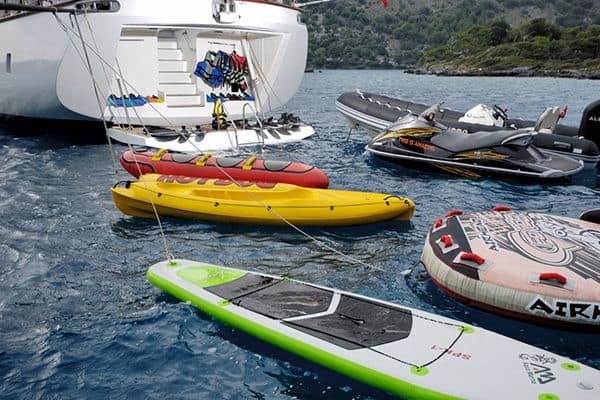 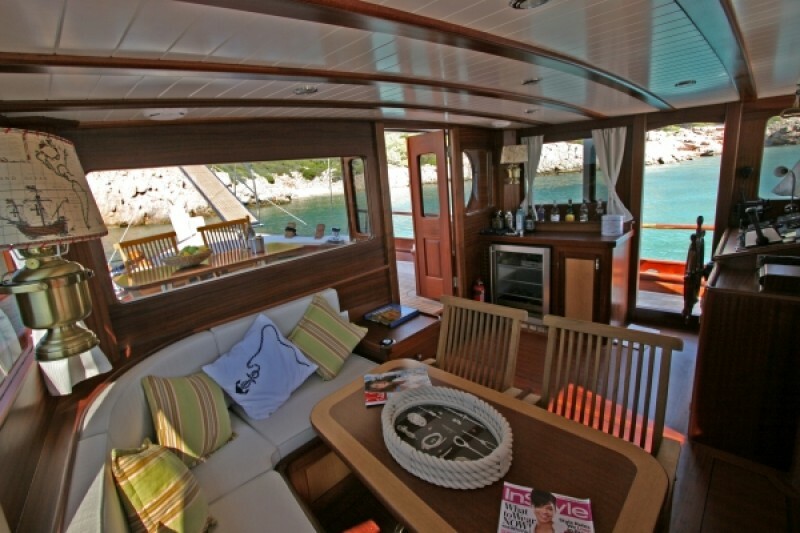 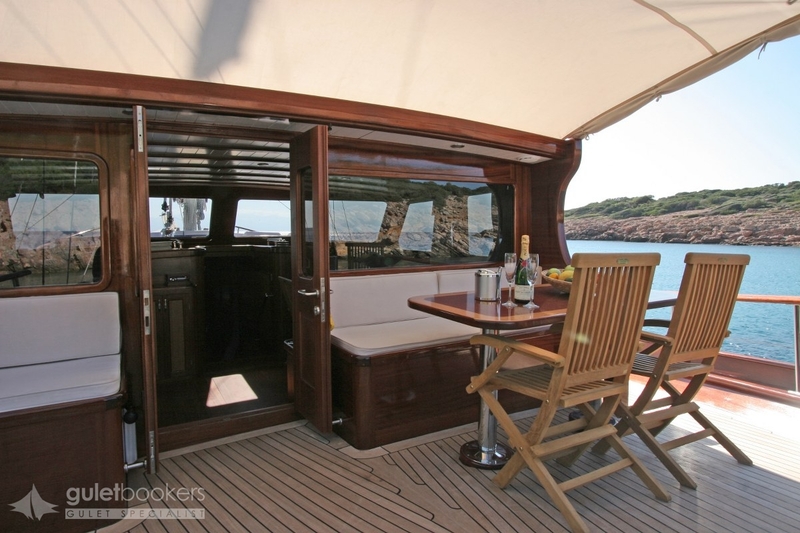 The crew will also serve drinks to the guests relaxing on the aft cushion pad, or on the forward sunning deck where the personal sunbeds wait, or at the very inviting forward bow bench seat. 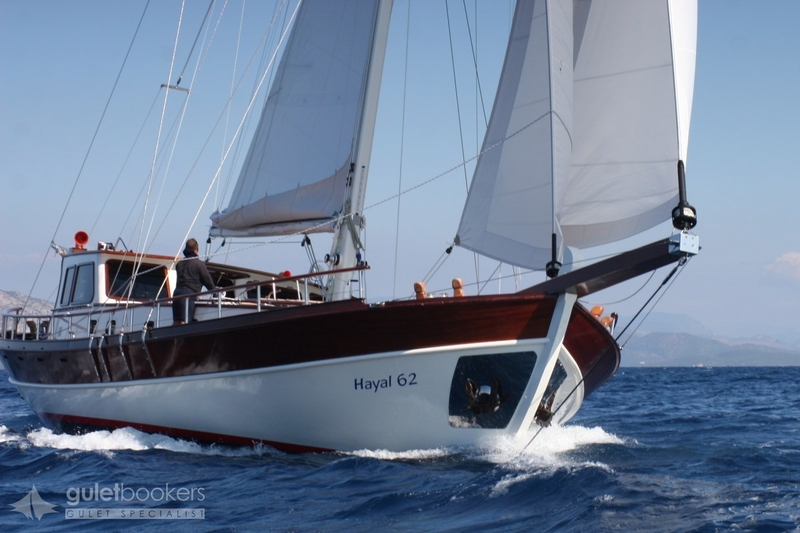 The Hayal 62 tirhandhil is well equipped with both fishing rods and lines, canoes and snorkels allowing for plenty of play in the glorious turquoise seas. 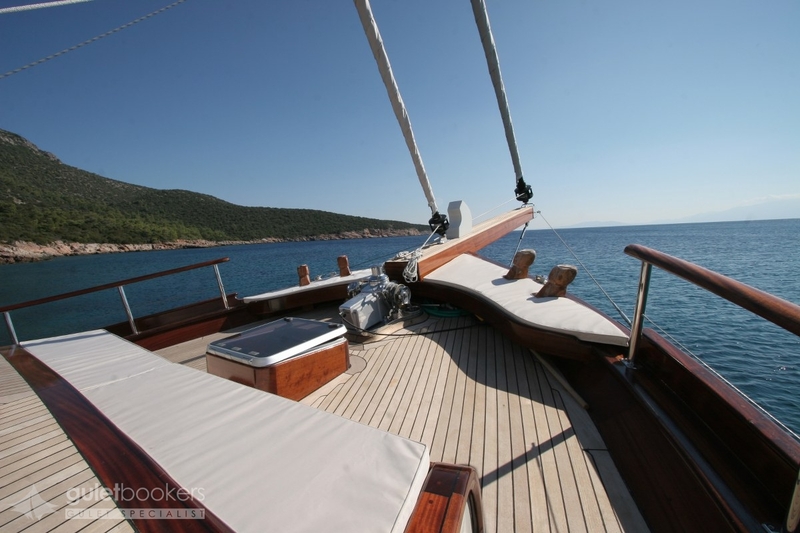 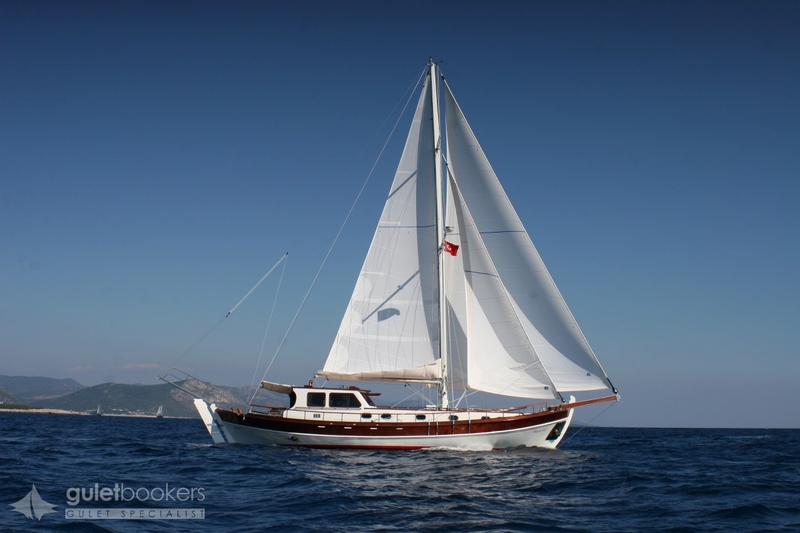 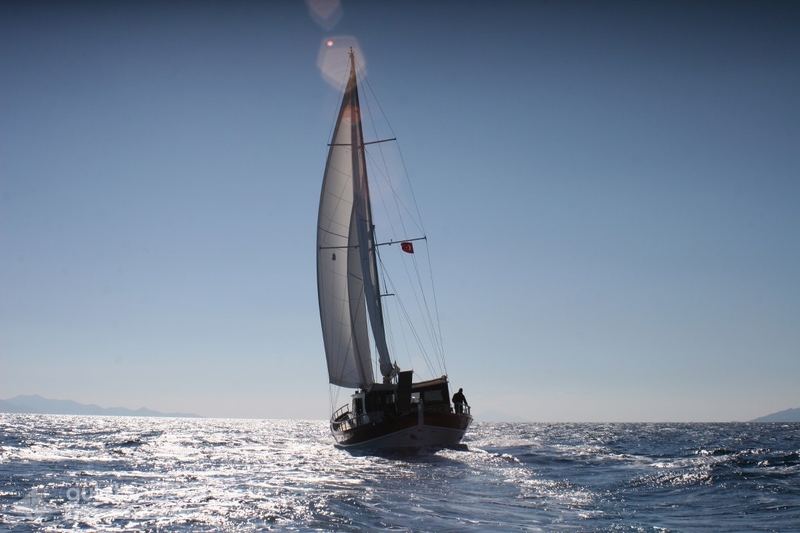 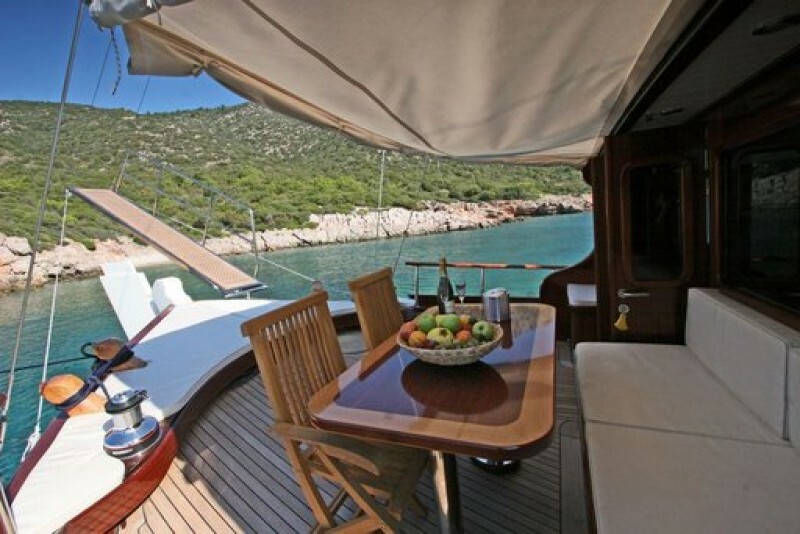 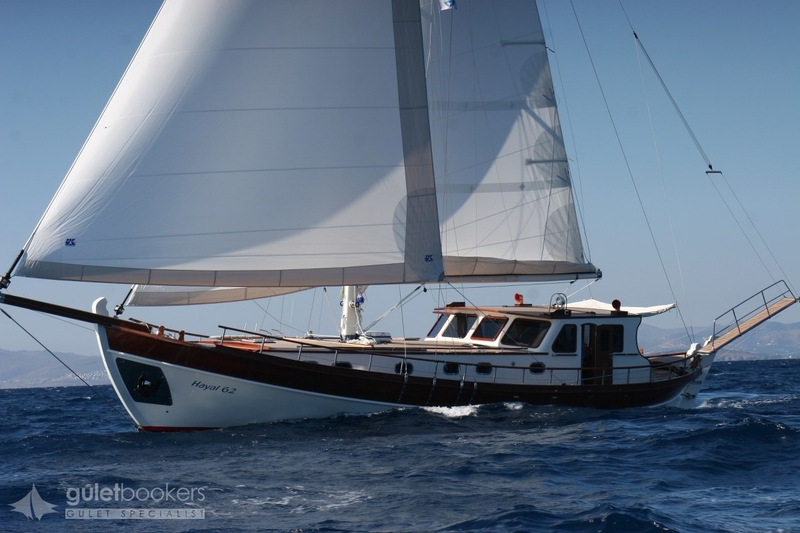 As a motor sailer yacht, she also has a full sailing rig and can demonstrate how the traditional trandils or Tirhandil, the oldest known design of coastal wooden craft of the Aegean lay claim to a 3000 year old heritage of sailing prowess, making a cruising holiday with her an unforgettable experience. 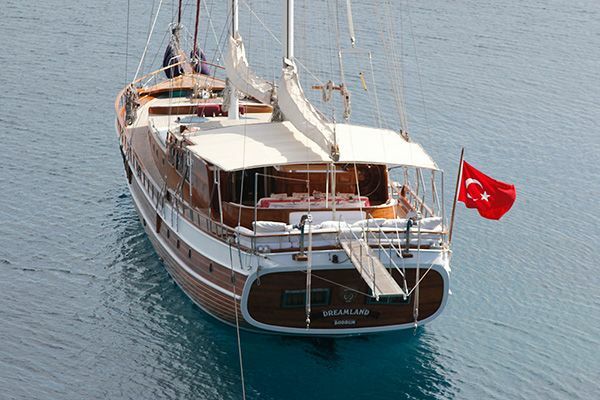 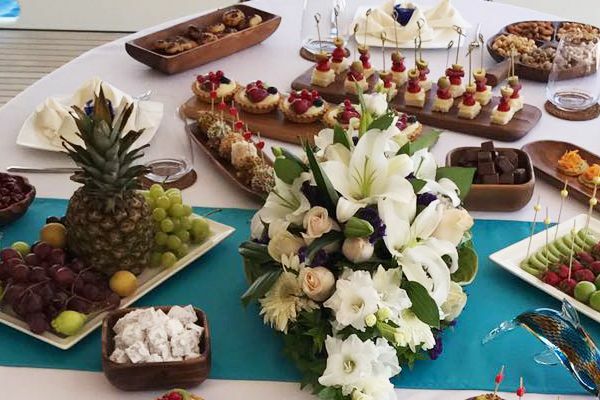 The crew are Bodrum seamen, who maintain the Hayal 62 to perfection, and extend a very professional, friendly and thoroughly hospitable service to guests aboard, making them feel like royalty with excellent meals, service and care. 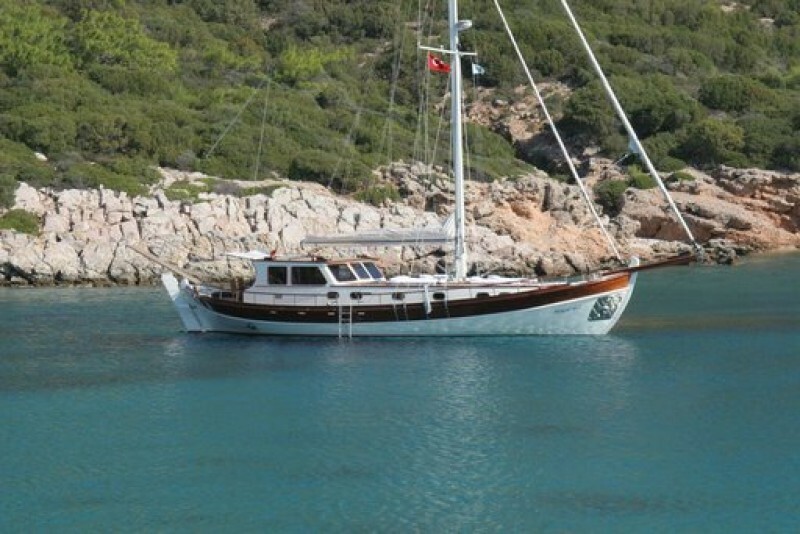 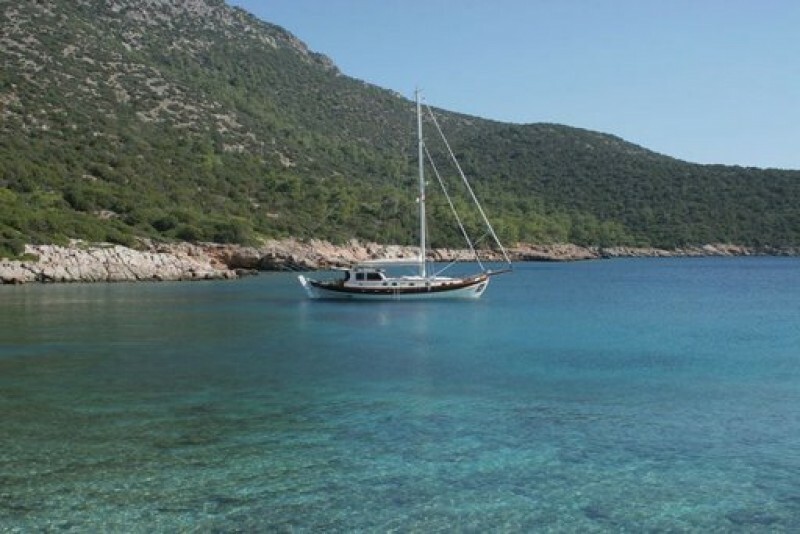 Honeymoon or anniversary couple love their cruise on board the Hayal 62 along the quiet bays or visiting villages along the Turkish Aegean coast, feeling completely relaxed and leaving with treasured memories. 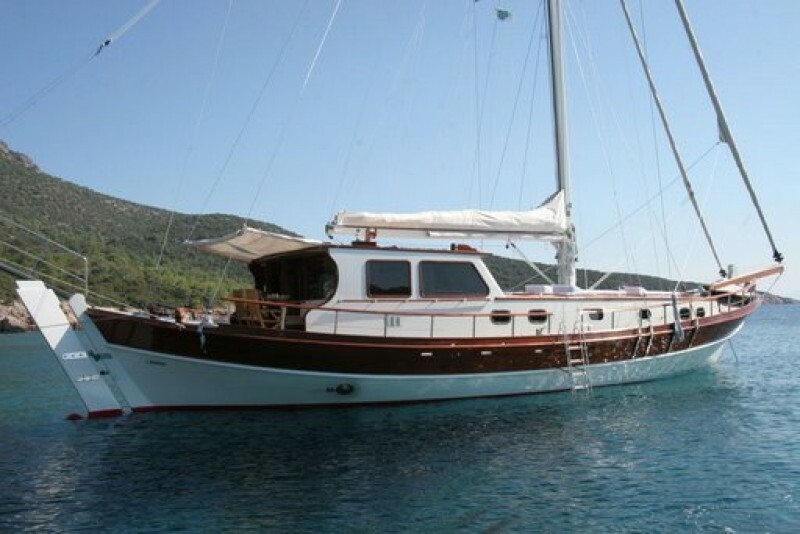 Being a Tirhandil the yacht is very broad of beam for stability and efficient sailing, so while it may look a small yacht it is deceptive as the 19 metre length is more than enough for a couple or a small family to enjoy comfortable space on deck and in the cabins.